The all too brief rain season is over, and we can now count on great window shopping weather for the next few months. As consumers make their way around the revitalized downtown shopping district or the Burbank Town Center, how are you going to make your business stand out? One way is with sidewalk signs for Burbank, CA. Read on to learn why your storefront cannot live without them! Sidewalk signs are very inexpensive when compared to other types of marketing, and your return on investment is outstanding. You just need to make certain your message comes across loud and clear with your A-frame sign. You will be able to use this versatile marker throughout the year. Have you ever run into a one of a kind sign display in the middle of the sidewalk while distractedly wandering down the street? If you have, you likely had to stop and read it. Also, typically when this happens, the consumer then enters the store. Even if you did not enter, you probably thought about going into the restaurant, store, or other enterprise. Essentially, sidewalk signs are able to draw awareness and attention to your company and increase your profits and foot traffic. Sidewalk signs are incredibly easy to transport. It is as easy as putting your A-frame sign outside in the morning when you open up for business and bringing it back in as you close. Since they are simple to transport, many businesses opt for the classic A-frame. However, there are several other types of sidewalk signs available to suit your enterprise’s needs. 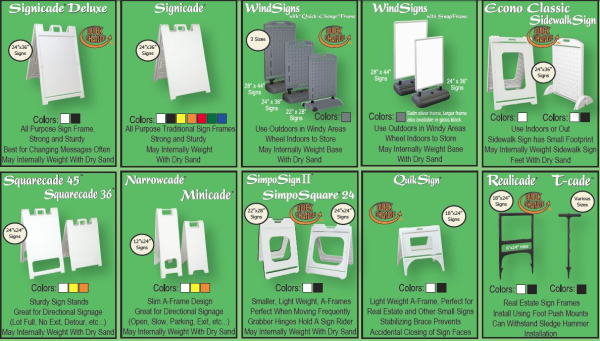 Signicade – Our clients can’t get enough of these 24-inch wide by 45-inch tall boards. Signicades are ideal for fairs, restaurants, events, and salons. To protect the sign from the climate, there are regressed face areas. 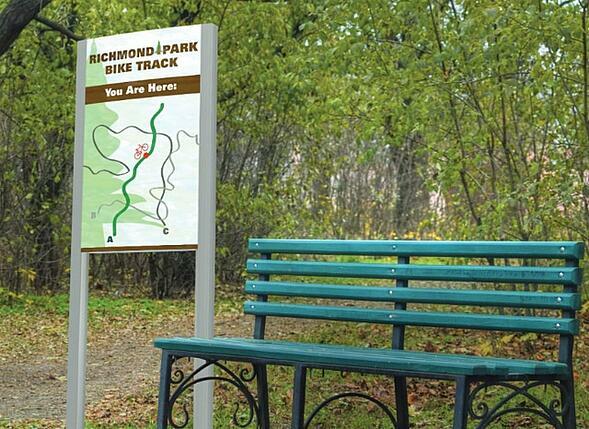 Simpo Sign – Simpo Signs are 23 inches wide by 34 inches high, and they offer a display area of 22” by 28”. These high-density polyethylene signs are durable and weigh about eight pounds. They are easy to maintain and stain resistant. Sidewalk Sign – There are no tools needed to change out the blanks or to put together this classic sidewalk sign. These signs are about 41 inches by 31 inches and weight just over ten pounds. They take inserts made of acrylic, vinyl, metal, or just about anything else. Quick Signs – Also made of high-density polyethylene, Quick Signs allow you to change your sign’s message within seconds. These are just some of the sandwich board signs we offer. If you are ready to really get the attention of shoppers as they meander along the sidewalk, contact The Sign Studio today for a free consultation on sidewalk signs! The Sign Studio is proud to offer the new Vista Expand signage lineup for Los Angeles. To create the best solution in the industry for jobs that require extra large signs, this new eco-friendly series features cutting edge designs and innovative technology. 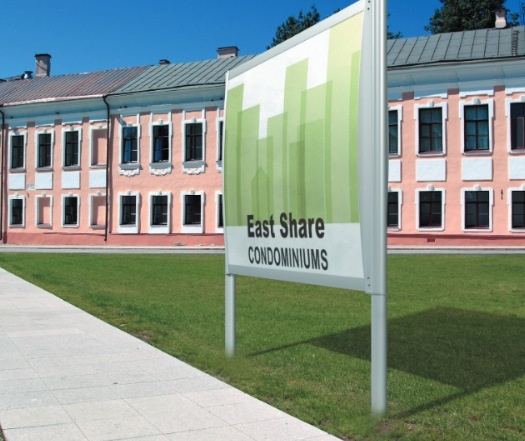 Ranging in size from about two to five feet wide and up to thirteen feet high, the Vista Expand Series is designed to provide big signs for both exterior and interior applications. Read on to learn about all of the different products. For displaying several kinds of imagery and information both outdoors and in, the Portrait XL post and panel signs are a great idea. These markers are ideal for information you want the public to see, such as industrial zone directories, orientation maps in the mall, terminal information posts, real estate project specification stands, and more. With the Vista Expand series, you get attention grabbing, simple to install and update, and sophisticated post and panel signs. Portrait XL wall frames are an excellent way to get your message across anywhere on your property. They are perfect for exit routes, floor directories, advertising space, floor maps, branding imagery and logos, and other uses. We can easily install the wall frames by attaching the main unit to the wall. The insert sheet hides the screws. When you want to present updatable information, the sign frames accept several types of materials, including vinyl and digital printing. Vista Expand’s post and panel landscape series is almost bigger than life. These impressive and elegantly designed signs can be used to showcase a business’s logo, brand elements, and name in a central location. They are also a smart choice for displaying commercial messages and posters that demand attention. We make updating and installing these signs hassle free despite how big they are. 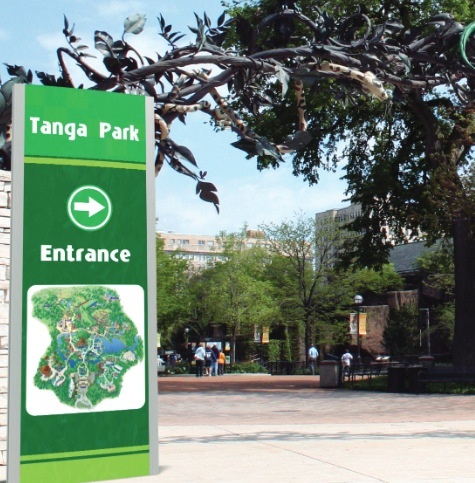 If you are looking for an intelligent wayfinding solution, double sided pylons can’t be beat. The Vista Expand pylons are best for projects that require extra large markers. The versatile and clean design of these pylons consists of smart connections and profiles. Suggested applications for the double sided pylon are for highlighting images, instructions, wayfinding, advertising, brandings, and other information throughout your complex. Last but certainly not least are Landscape XL wall frames. 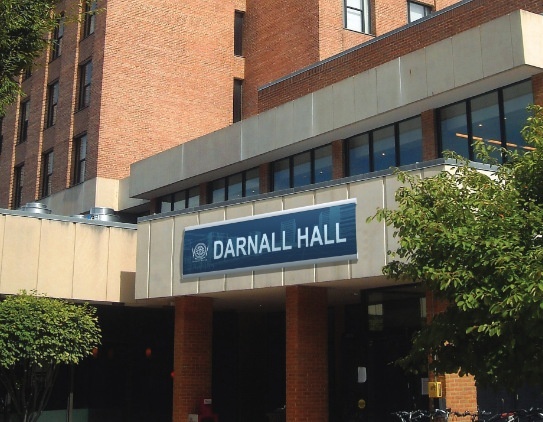 These are commonly used for branding and wayfinding purposes, including decorative photos, company logos and names, advertising space, floor lists, emergency escape routes, and much more. Best of all, you can easily change out your message at any time! 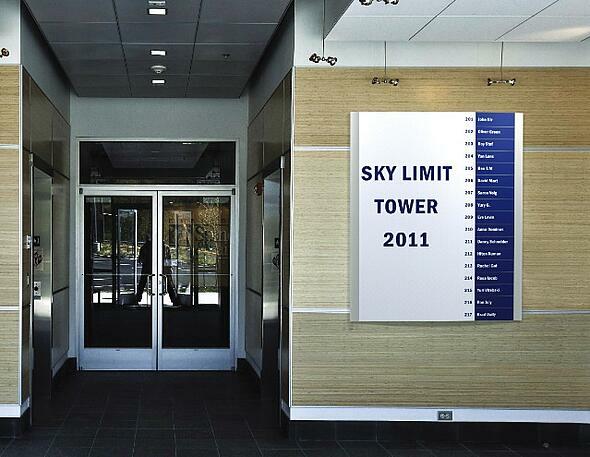 The Sign Studio has been providing Vista sign products for Los Angeles for years. After a free consultation during which we can provide a site survey while listening to your vision and budget, we make recommendations based on your goals. We then start with the Vista Expand product that is right for your project and create custom inserts to suit your needs. Lastly, we complete installation at a time that causes minimal disruption to your enterprise. Are you ready to take advantage of this state of the art signage option? If so, contact us today for a free consultation and quote! Not everyone realizes that they can go to a commercial sign shop for all of their custom metal plaque needs. Yet, for several years now, The Sign Studio has been providing Gemini plaques for Burbank, CA. When companies come to us in need of signage that will last for decades to come, these are the plaques we recommend. In this entry, we will cover some of the more unique specialty options available with these markers. 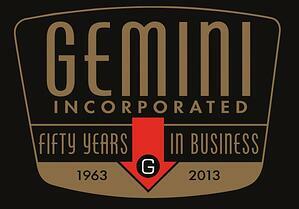 For more than half a century, Gemini has been an established name in the signage industry. Also, they have been supplying metal plaques of superior quality for the award, recognition, and sign industries for the past twenty years. Gemini’s variety of options is sure to impress, whether you need a creative solution for architectural signs, an architectural or cast metal plaque to commemorate a notable individual, or an etched display panel to mark a historic occasion. Gemini uses the best materials for their products and guarantees them for life. Furthermore, we are an authorized Gemini dealer. The back side of a plaque is sometimes visible. For example, this is often the case when you hang a plaque from a ceiling instead of going with a standard wall mounting. In these circumstances, a more elegant appearance is achieved with double-sided plaques. These plaques have a standard face, but the back side is also finished and looks the same as the other side. For these, the maximum size available is 26 inches by 50 inches. Your plaque may show signs of aging after years of exposure. Aluminum plaques will develop an oxide skin on the surface of all of the exposed aluminum and will lose their raw aluminum look. Bronze plaques will start to patina. Gemini’s rejuvenation program may be for you if you want to bring your existing plaque back to life with new brush satin raised copy and a fresh background coating. Since not all plaques can undergo this treatment, give us a call or send us a picture of your plaque to find out if this is right for you. 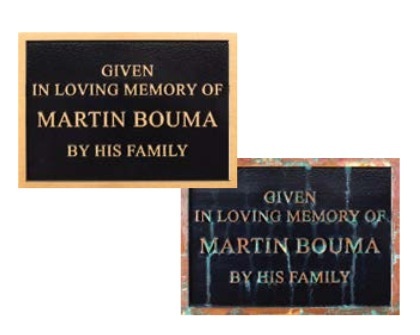 One of the top specialty options for Gemini plaques Burbank, CA clients ask for is large return plaques. 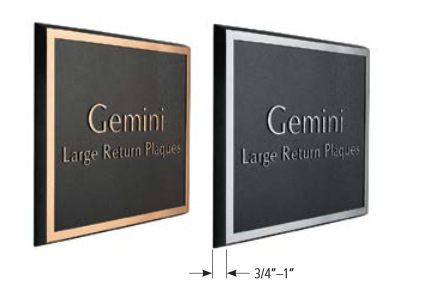 Gemini can manufacture plaques with a larger return for applications where extra depth is needed. Instead of having the standard quarter inch to five-sixteenth inch depth, the large return plaques have an edge depth of three-quarters of an inch to an inch. When you call The Sign Studio for custom metal plaques, we listen closely to exactly what you want. Then, based on your budget and vision, we create proofs of what your finished plaque will look like. 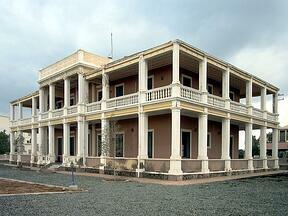 Once you are satisfied with its appearance, we get to work. When it comes to installing your plaque, we are the experts. There are a few mounting methods based on how you plan to use your sign. Plaques can be mounted with a tilt, hanging from above, closer to the ground, seamlessly attached to a wall, or at eye height. Let The Sign Studio aid you in wading through the plaque options available to you. Contact us today for a free, no-strings-attached quote and consultation. There is plenty of competition in Los Angeles’s vibrant business community. Every enterprise is trying to draw shoppers’ eyes and money. This makes getting noticed extra important. Part of this is avoiding sign mistakes businesses make in Los Angeles. Contact The Sign Studio to make certain you avoid the following. Many forward thinking businesses have this problem as they are trying to stay ahead of the trends but have neglected to evaluate their interior and exterior signs. This mistake is often times amplified when there is a change in management or leadership. The new boss correctly points out the dated design setup after evaluating the deep purple font and the gouge your eyes out yellow logo. Oddly enough, the new manager will tackle the branding problem with one element at a time, starting with the cheapest fix first. To bring your company into 2015 and beyond, reworking your typeface and logo is a great start. However, this strategy needs to simultaneously incorporate your company’s Internet presence as well as exterior signs. Your cabinet lightbox or channel letter signs are on display for all who pass by. Let them immediately recognize your cutting edge nature rather than thinking you are stuck in the ‘80s. It used to be hip to open up a shop and not have a sign above the door at all. These places usually had shabby doors that required a secret knock and approval from a doorman before you could enter. Yep, the 1920s were a crazy time. These days, if you want clients to find your offices or storefront, it is going to take signage. Your prospective clients will not know you even exist if you do not have the proper markers. You have likely come across these problems. 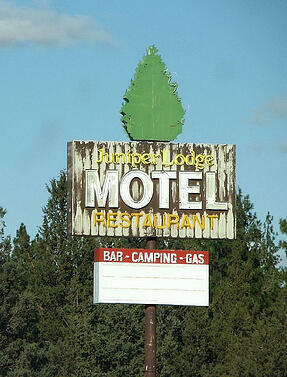 In the old days, bigger and brighter signs were en vogue. Nowadays, they are big and worn out. The once-vibrant logo colors and font are now faded after years of weathering. Chipped acrylics, rusting metal, and peeling paint are all symptoms of the natural failing of materials. Some part of the signage may have been cracked by the occasional heavy wind. Despite these downfalls, the sign is still there advertising. You company is not communicating your message or brand as your marketing plan intends when you have weathered or outdated markers. An old sign gives the impression that your enterprise has not had the inclination or time to upgrade its look, has little interest in the image it projects, and that you are living in the past. 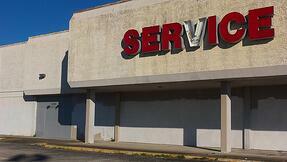 Your clients may think that your products and services are as old and dilapidated as your signs. Don’t let any of the above mistakes hurt your business’s chances at success. If any of the above circumstances sound familiar as you look at your signage (or your signs look like the images you see here), contact The Sign Studio today for a free consultation and quote on custom signs for Los Angeles. In order to have a successful marketing campaign, potential customers must know who to contact in order to initiate a transaction. With yard signs, also referred to as lawns signs or bootleg signs, businesses can generate unparalleled exposure at a relatively low cost. But, how can you use these markers to boost sales? Let us show you! Yard signs are basically tiny billboards that are placed on walls or staked into the ground. They are meant to catch the attention of drivers and passersby. Yard signs are usually made from corrugated plastic boards, or coroplast, that are 18” by 24” or 12” by 18”. You message is printed directly onto the board. The real estate market is perhaps best known for using yard signs for Burbank, CA, but just about any industry can benefit from these markers. Any good yard sign campaign must start with a plan and a budget. You are more likely to realize long-term success if you have a sound marketing system rather than placing signs willy nilly. An important question to ask yourself is what is a realistic budget you can spend week after week? The potential return on investment can help you in determining how much you are willing to spend. This will help you justify the amount you are willing to spend on the campaign. 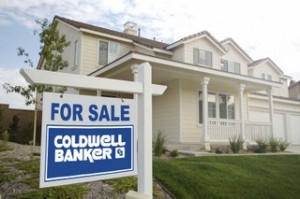 With real estate, even just one deal can justify your money spent on lawn signs. You must have a system in place to receive leads before you start your campaign. This will help you keep track of leads your yard signs are producing and allow you to respond quickly. There are several ways to track leads including a call center, Google Voice, and website “squeeze” pages, which redirects to your main site yet tell you where visitors learn of you. When you use a phone number or web address that is unique to your yard signs, you will be able to track how effective your markers are. 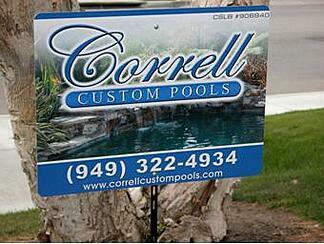 When you buy yards signs in Burbank, CA, The Sign Studio can help you with the creation process. You need to be sure to include your business’s name, contact information, logo, and your main service, product, or industry. Passersby will only have a limited amount of time to read your sign, so text needs to be kept to a minimum. Using an image to represent your products or services is preferable. Lawn signs sometimes go missing. Fortunately, they are inexpensive to replace. To ensure you are reaching your target demographic, create a map of where you have placed lawn signs. Every week or two, go for a drive to make sure the signs are still there. If they are missing, simply replace them. For this reason, we recommend buying in bulk. This will also save you money per unit. Are you ready to take advantage of this marketing tool? If so, contact The Sign Studio today for a free consultation on yard signs.